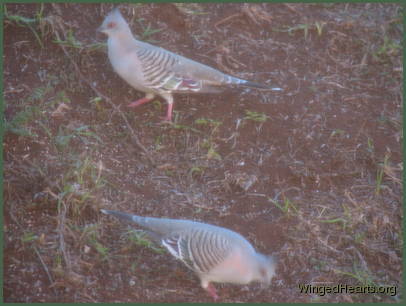 Crested pigeons are part of the natural bird scene. 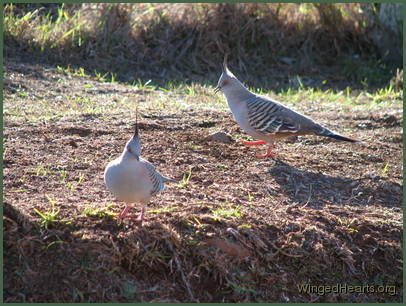 I love the beautiful shades of turquoise and pink subtly blended with the dusky beige of their plumage. 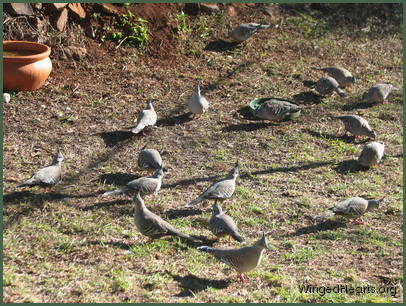 Although shy and reserved, they were quite unperturbed by the dogs. 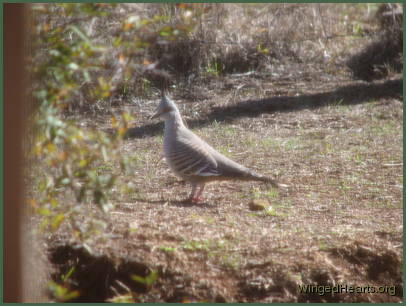 While generally mild mannered, they can be quite bossy towards their smaller cousins the bar-shouldered doves and can also hold their own with the magpies. A rosella though can scatter a whole flock of pigeons, much to my surprise.